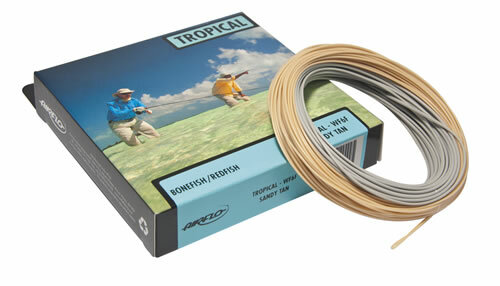 Airflo’s Tropical Saltwater flylines combine Airflo’s low stretch Power Core and Ridge Coating to exceed the most demanding of saltwater fishing situations. These saltwater lines cast like a dream, set hooks brilliantly at distance, and minimises tangles on long, fast casts. Each Airflo Tropical Saltwater line features a powerful high-energy taper, designed for turning over long leaders and big flies. An extended rear taper acts as a buffer zone on longer casts allowing you to aerialise more line without collapse and the power core allows you to set hooks even at range. Airflo’s unique patented PolyFuse XT coating is unaffected by harsh U.V. rays and keeps performing long after other brand of lines has wilted away. This PolyFuse coating involves the use of a dual coating process that fuses a super slick, tough outer coating to an extremely supply polymer base that, unlike PVC, will not crack. All Airflo Tropical Saltwater Lines come with a 28 day satisfaction guarantee plus a five year non-crack guarantee. RIO's Tropical OutBound Short series of lines are designed for fishing in hot climates.